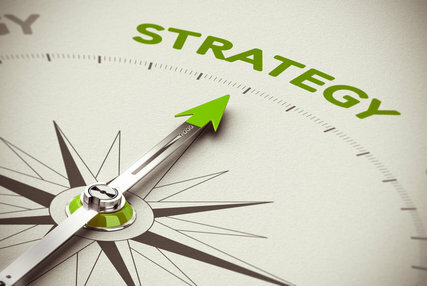 A successful investment strategy requires a clearly defined set of goals and objectives. The portfolios that we manage at CFAL have explicit return objectives, a framework for measuring progress towards the goal and limits on the amount of risk we take in trying to achieve the objective. This comprehensive strategy is designed to help clients stay on track in good times and bad. Our experienced and knowledgeable investment team is committed to providing institutions with superior returns utilizing our time-proven principles of investing. We are also able to design an appropriate mix of fixed income and equity securities that provides a portfolio consistent with the risk and return objectives of each institutional client. At CFAL, we have implemented a “top down” approach to our Investment Management Services. Our philosophy is based on conservative, time proven standards of fundamental investing. We continually strive to deliver a consistent return for the level of risk assumed. Our core values of diligence, discipline and integrity have helped and will always guide our investment practices. Our primary objective in managing fixed-income portfolios (bonds and money market funds) is to minimize risk while participating fully in rising markets. We believe this is best accomplished through the use of active portfolio management reinforced with extensive in-house fixed income securities analysis. Our bond portfolios are managed for return on principal as well as return of principal and our money market funds are managed for maximum safety and stability of your principal. At CFAL, we believe that enhancing and protecting our clients’ assets is the most important aspect of our job. We are dedicated to helping our clients achieve financial security. All of our funds and managed portfolios are designed to achieve specific objectives founded on sound investment principles that reflect current market conditions. CFAL is dedicated to helping our clients achieve financial security. The guiding philosophy of CFAL is that, as stewards of capital, our clients’ interests are paramount. We build long-lasting relationships based on integrity, expertise and a high level of service. We believe that investment success comes from the disciplined application of a sound process guided by a proven philosophy. Our goal is to deliver a consistent return for the risk assumed. CFAL’s core values have always included diligence, discipline and integrity, which have helped to guide our investment practices. CFAL’s investment process is the result of over 50 years of combined security analysis and research experience. We base our decisions on strong fundamentals, such as earnings growth, cash flow, balance sheet strength and relative value. To protect clients long-term interests, we maintain a fundamental and disciplined approach and believe clients’ portfolios are more secure when financial fads and momentum plays are avoided. We also believe in providing clients with timely, pertinent information to help them understand the value-added CFAL brings in managing their investment portfolio. Protecting and enhancing clients’ assets are the most important aspect of our job. We honor the trust, hard-earned dollars and hope that clients have placed in our hands. Long-term performance takes precedence in our investment decisions. At CFAL, we believe in the power of diversification. We continually monitor the markets and clients’ portfolios to ensure that investments are in line with the mandated strategic asset allocation. CFAL’s approach to portfolio management is designed to anticipate and adjust to continual changes in the investment environment.